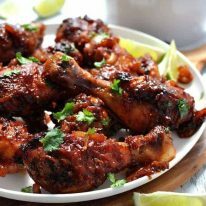 These sticky Hawaiian Chicken drumsticks are marinated with a pineapple based glaze that is sweet, spicy and slightly tangy. It will transport you to Hawaii and make you want to do the hula dance too! Accompanied by a coconut rice that is so delicious I could just eat a giant bowl of it for dinner. I kid you not when I say that I am transported back to Hawaii every time I make these. It puts me in a good mood just making them! I mean, how much more tropical can you get than chicken with a pineapple marinade and coconut rice on the side? I want to drape myself in leis, put on the Beach Boys’ Kokomo, shake up some Pina Coladas and parteeee!!! (PS I stopped short at talking about coconut shell bikinis and grass skirts, that’s not a sight we need to think about!). When it comes to sticky chicken, there’s sticky, then there is seriously sticky. These Hawaiian Chicken drumsticks are insanely sticky. You are going to get messy getting stuck into these, and there’s just no better way to enjoy it. It’s finger lickin’ good! The secret to the stickiness is tinned crushed pineapple which forms the base of this marinade. The sweetness of the pineapple is balanced out with other flavourings including spices, garlic, ginger, and vinegar so the marinade is actually quite a complex flavour. When baked, they turn a wonderful dark golden colour and caramelises beautifully which adds extra flavour to this. I have to admit, it took me a few goes before I was happy with this. I even googled quite a bit and tried other pineapple marinade recipes I found but the flavour of the marinades were not as strong or deep as I wanted (I like flavour explosions!) or the marinade was too thin so it didn’t make a sticky glaze. I don’t make chicken drumsticks often because they aren’t the healthiest cut of chicken. So when I do make them – usually when I’m entertaining because they are super good value – I want them to be seriously tasty! No second rate marinades for my drumsticks! I was going to share this Hawaiian Chicken recipe with you with a tropical style salad on the side. But I couldn’t resist sharing my coconut rice instead. I know, I know, it’s meat and carb central here today, but coconut and pineapple go together like tomatoes and basil!! I had to! So, if you’re in the northern hemisphere where it’s starting to cool down, this is a great dish to remind you of the summer just gone…..and if you’re in the southern hemisphere, this is the perfect dish to celebrate that summer is just around the corner!! To sign off, do you recognise these song lyrics?? I had this song playing while I was typing up this post!! This finger lickin' good chicken is marinated in a sweet, tangy and spicy pineapple glaze! Perfectly matched with coconut rice. 1/2 tsp chili powder (or cayenne powder). Adjust to taste. Combine the Marinade Glaze ingredients in a saucepan over medium high heat. Bring to simmer, then turn it down to medium for 10 minutes or so until it reduced by around 1/3 and is a bit syrupy. The pineapple should be softened and starting to breakdown. Give it a mush with a potato masher to help it along. Allow Marinade Glaze to cool, then combine in a large ziplock bag or bowl with the chicken. Marinate for at least 4 hours, up to 24 hours. You could also freeze the chicken with the marinade. Bring the chicken to room temperature. Dip the chicken and Marinade into a baking dish. 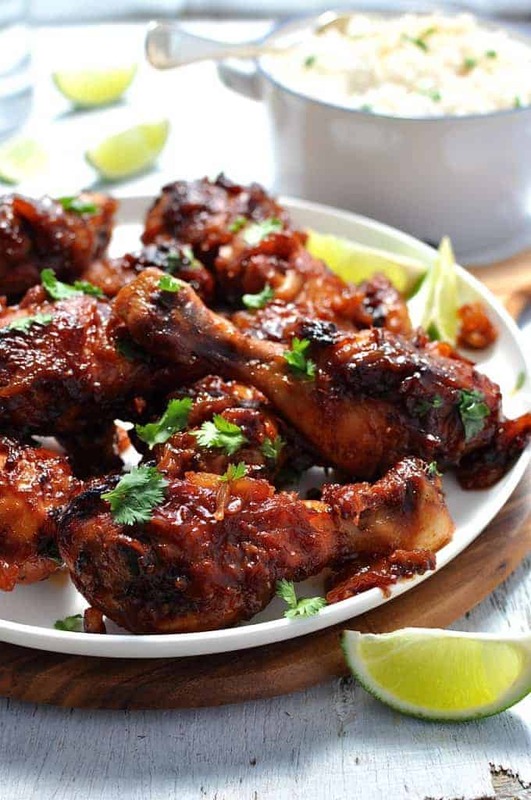 Drizzle over olive oil then spoon over some of the Marinade Glaze onto the drumsticks, ensuring you get some pineapple chunks on the chicken itself. Place chicken in the oven and bake for 20 minutes. Remove baking tray from oven and turn the chicken and again spoon the marinade & pineapple bits onto the chicken. Bake for a further 15 minutes and check the chicken. If the marinade pooled in the baking dish is looking dry and starting to burn, then pour in a bit of water. Return chicken to the oven and bake until dark golden brown and the Marinade Glaze is caramelised and sticky (about 5 to 10 minutes). Combine ingredients in a saucepan over high heat. Cover with a lid and bring to boil. Turn down heat to low then leave to simmer for 15 to 18 minutes until all the liquid has been absorbed. Remove from heat and allow to rest for at least 5 minutes before serving. Garnish rice with tasted desiccated coconut (optional). Scatter coriander/cilantro over rice and chicken and serve with lime wedges on the side. 1. If you can't find crushed pineapple, you can use canned sliced pineapple or pineapple pieces. Then just use a fork or potato masher to crush it. You need a combination of both pineapple chunks and juice for the marinade to turn out sticky. 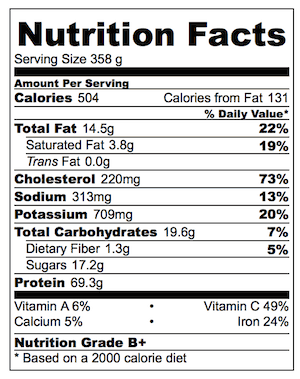 Make sure to use canned pineapple in natural juice, not syrup. If you use pineapple in syrup, the marinade will be far too sweet! 2. Ensure the soy sauce you use is light soy sauce, not the usual dark soy sauce. The flavour of ordinary dark soy sauce is stronger and will overpower the flavour of this marinade. If you can't find light soy sauce, start with 1/4 cup of dark soy sauce and adjust by taste. 3. The malt vinegar can be substituted with any dark coloured vinegar except balsamic. If you don't have a dark vinegar, then a white vinegar will work ok.
4. This recipe works with both canned coconut milk and coconut powder. Just mix up 1 cup of coconut milk using the powder according to the packet instructions. 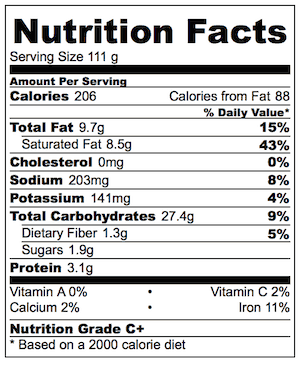 In Australia, coconut powder is better value than cans and also lower in fat. Plus it is useful when you don't need an entire can of coconut milk. 5. If you use a large baking dish so the drumsticks are spaced out a lot then the marinade may dry out too much while baking. If this happens, just add a splash of water so the marinade ends up being a sticky glaze. Ideally you want a baking dish where the drumsticks fit in snugly but without being squeezed in tightly (they won't brown as well). 6. This recipe is difficult to cook on the outdoor grill because the sugar in the Marinade Glaze burns quickly. It does work, but requires a bit of technique! b) Shake off excess Marinade Glaze, and cook the chicken on the BBQ for 15 to 20 minutes, turning to cook each side evenly. c) When the drumsticks are done, push them close together (still on the BBQ) and pour over all the remaining Marinade Glaze. Then toss the drumsticks to coat with the Marinade Glaze (an egg flip works best for this). 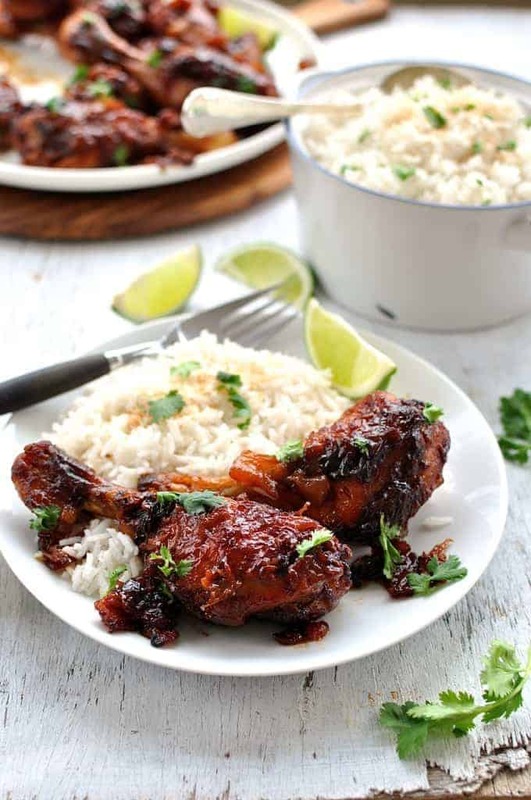 Then allow to cook for a few minutes until the Marinade Glaze becomes thick, sticky and caramelised, turning the chicken frequently and scraping up the Marinade Glaze as much as possible to make it stick onto the chicken. Don't walk away, this will happen quickly and you need to keep turning the drumsticks! d) Remove chicken from BBQ and allow to rest for 5 minutes before serving. Hi Nagi! I am not the biggest fans of drumsticks could I use thighs instead? Hi Nagi, do you think this could be adapted for a slow cooker? Looks amazing. Hi LG! I feel that you need the oven to get that jammy finish. 🙂 Sorry! Hey Nagi…bit of a left field question here but how much should I ‘ramp’ this recipe up to feed 6 (shovel it in your mouths) fire-fighters??? Once rice boils, and I bring it to low, do I take lid off? I saw this recipe today .. Went sright home and made it .. Oh My goodness it was such a big hit… I even shard the recipe with all my friends .. Hands down amazing ?